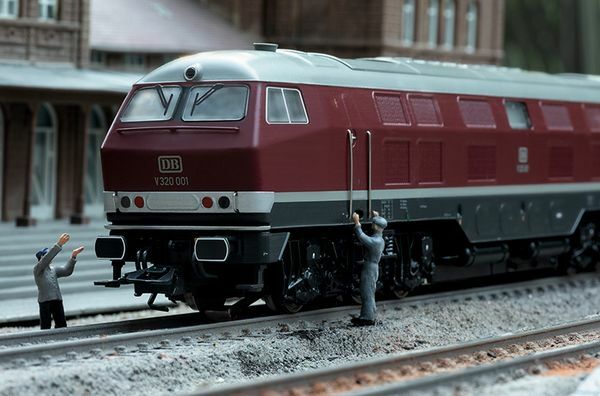 Model: The locomotive has a digital decoder and extensive sound and light functions. 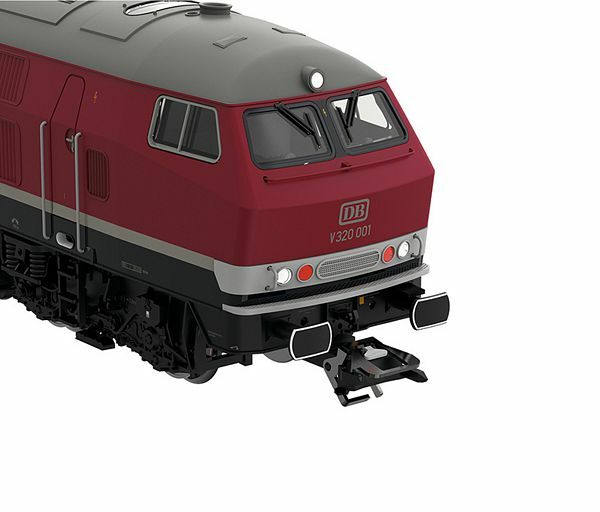 It also has 2 speakers for optimal locomotive sound reproduction. 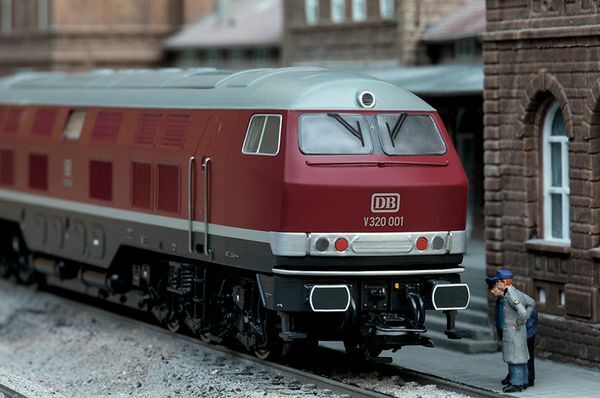 The locomotive has controlled, high-efficiency propulsion with a flywheel, centrally mounted. Two axles in each truck powered by means of cardan shafts. Traction tires. The triple headlights and dual red marker lights change over with the direction of travel, will work in conventional operation, and can be controlled digitally. 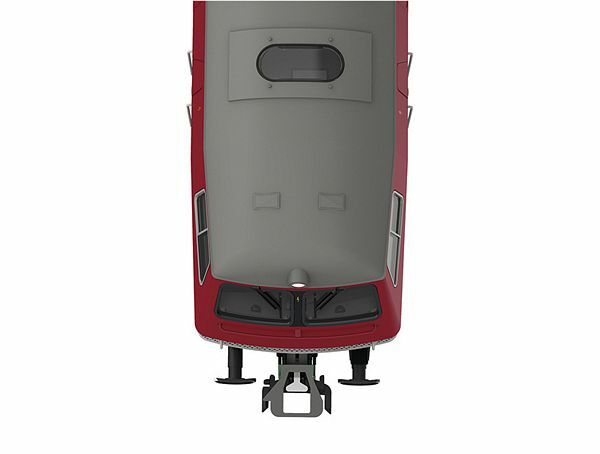 The headlights at Locomotive End 2 and 1 can be turned off separately in digital operation. The locomotive has the double "A" light function. The cab and engine room lighting can each be controlled digitally. 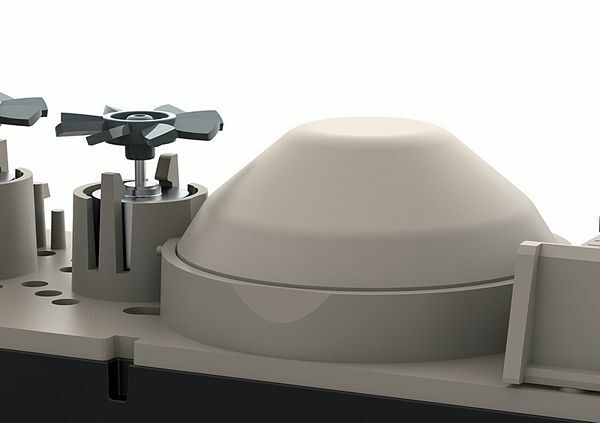 Maintenance-free warm white and red LEDs are used for the lighting. 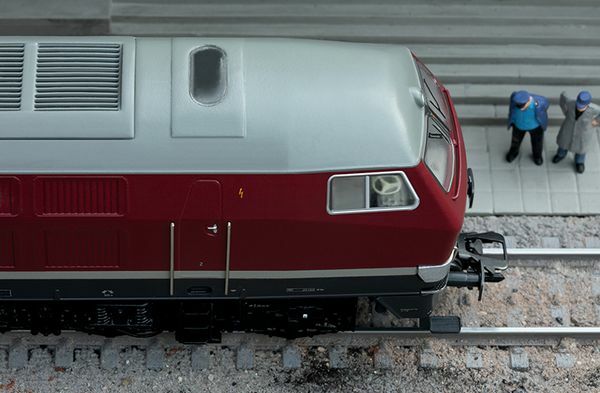 The locomotive has 4 ventilation fans, each powered by a motor, and controlled digitally in pairs. 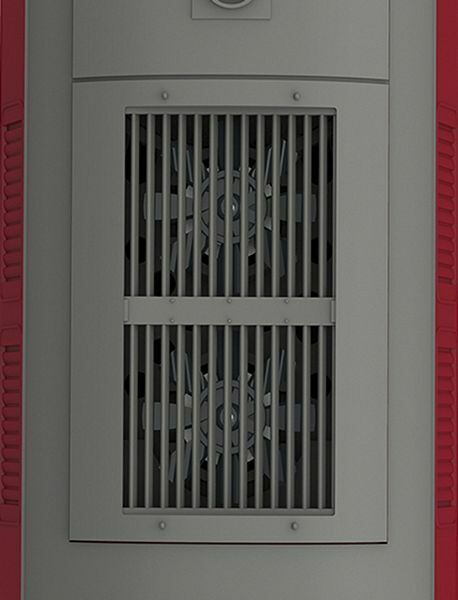 Different speeds can be set for the ventilation fans. The locomotive has separately applied metal grab irons on the sides and ends. The buffer beams are detailed. 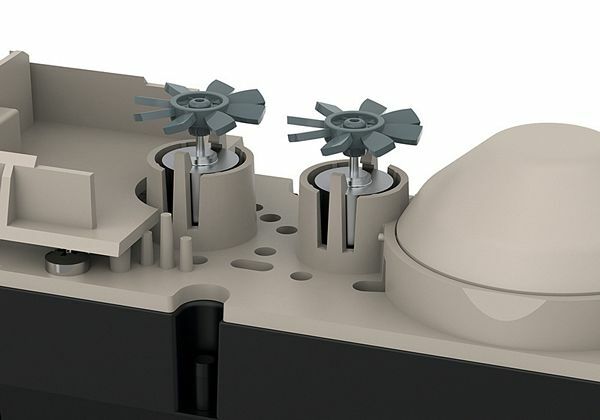 Main air lines, heating lines, and brake hoses are included as separately installed parts. Length over the buffers 26.4 cm / 10-3/8". 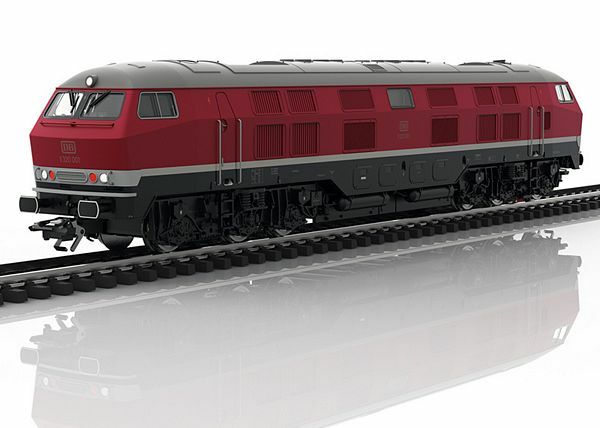 The class V 320 diesel locomotive is being produced in 2019 in a one-time series only for Trix Club members. 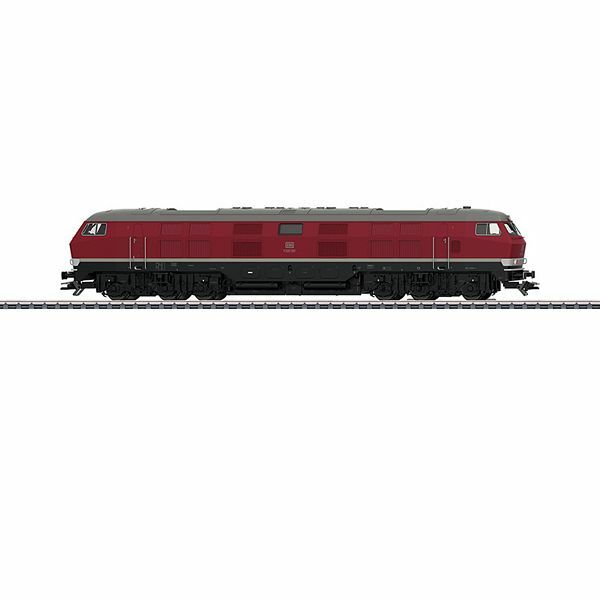 Express train passenger car sets 1 und 2 for the express train D 96 "Isar-Rhone" to go with this locomotive are also being offered under item numbers 23132 and 23133 exclusively only for Trix Club members.